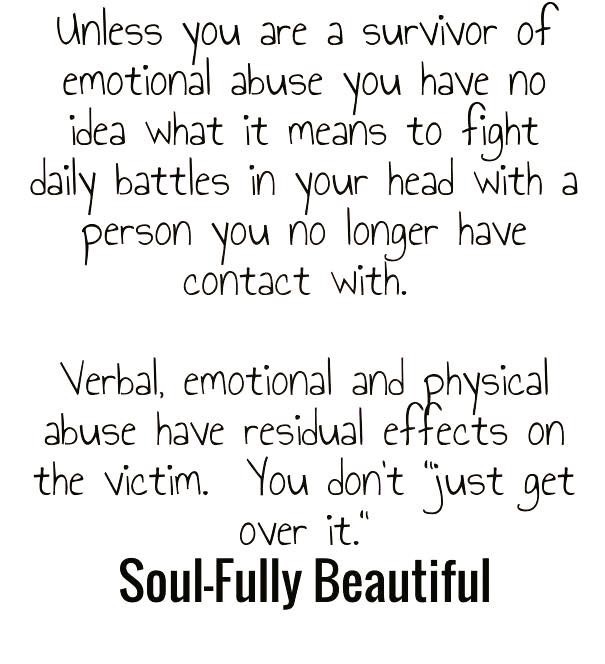 I hate those word’s “GET OVER IT”…..to many times victims hear those words. The abuse and torment stay with a person forever. Not as raw as in the beginning, however, you never, ever ‘get over it’.